Ginostra is a small village on the island of Stromboli, in the Aeolian Islands. 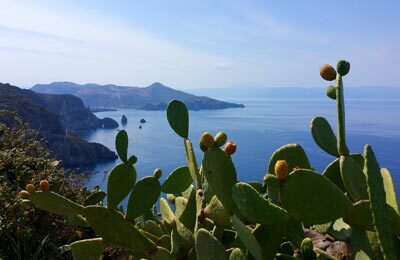 Ferries from Ginostra sail to the other Aeolian Islands of Lipari, Panarea, Salina and Milazzo with Ustica Lines. You can book Ustica Lines ferries with AFerry. Ginostra is a small, compact village centred around the harbour so you will find all amenities near to the port. Within walking distance you'll find shops, beautiful restaurants, hotels and of course the church which is one of the main tourist attractions. As there are no roads connecting Ginostra to the North-East side of Stromboli, the best way to reach the village is by boat. 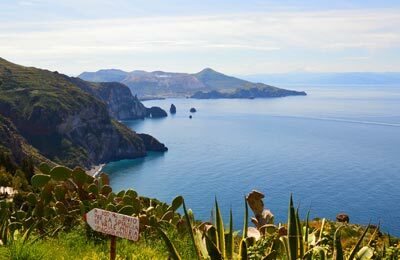 You can either take ferries from other Aeolian Islands with Ustica Line, or if you are already on the island of Stromboli find local boat trips to Ginostra.